BOLO Books: How to Win at High School is nominated for Best YA novel at this year’s Anthony Awards (to be presented during Bouchercon 2016 in New Orleans.) First off, congratulations on that well-deserved nomination! What were your feelings when you heard the news? 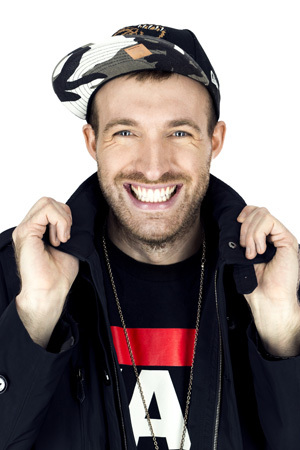 Owen Matthews: Thanks! I really wasn’t expecting to be nominated and it’s obviously a huge honor, especially as the Anthony Awards are not only prestigious but tend to be a reflection of how one’s seen by one’s peers in this community. So it’s really gratifying. 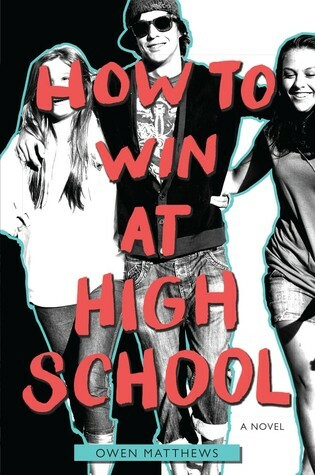 I wrote the first draft of How to Win at High School when I was a sophomore in university, fully expecting that it would catapult me to literary fame and fortune. Long story short, it didn’t, and after I’d amassed a number of rejections I tucked it away in a drawer and imagined that once I had established a career as an author, I would revisit it. It spent nearly a decade in that drawer, but I always believed in the idea, so to see it finally published and, now, getting a positive reaction is so, so cool. 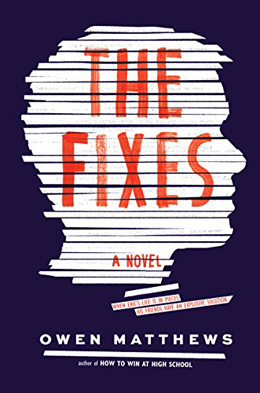 BOLO Books: The Fixes is your second young adult novel. How was this experience different than the writing of How to Win at High School? Owen Matthews: Writing the second book was completely different. The Fixes was so much harder! For starters, I’m not even close to being a teenager anymore, so where with How to Win I could draw on a first draft I’d written when I was nineteen or twenty, The Fixes was a blank page. And it’s really tough to write for teens—I find—without coming off as pandering or moralizing or just faking it. So this book went through a ton of false starts and weird digressions before I felt like I got the tone and the story where it felt genuine and not forced. But it was fun; I love messing around with style and feeling like I’m breaking rules, stylistically and content-wise. I’m writing about people and places I know and cramming them all into my own warped little world, and I hope readers will dig it as much as I do. BOLO Books: In many ways, these two books share a very similar DNA. Not the least of which is your unique YA writing style – in both cases, very short chapters with some clocking in at a sentence long and others at only a word or two. (The Fixes is over 500 pages long with 350+ chapters) How did that style come about for you? Is it easier or more difficult to write than your more traditionally structured thrillers? Owen Matthews: The draft of How to Win at High School I unearthed from my proverbial dusty drawer was written in a pretty realistic style, and it really didn’t work. The story is obviously quite over the top, and I thought I needed to make the reading experience itself as outrageous as I was making the story. I’d read Don Winslow’s Savages a while before that, and ultimately I cribbed a lot of what I did in the book from his stuff. I don’t think Savages would have worked as well if he’d written it in a traditional style; it’s an in-your-face kind of book, and the style just reinforces that. So I borrowed liberally from Don Winslow, who I really admire as a writer. I wasn’t sure I could pull it off, or if anyone would dig the style as much as I did, but I didn’t have anything to lose, and at the very least, I was entertaining myself. When I write thrillers, I’m writing for an audience that is looking for a story to get them through the plane ride from San Francisco to New York, or wherever. So I try to strip down the writing and keep it as no frills as possible. But with these books, there’s a lot more latitude, because I think teen readers are more open to writing that falls outside what’s considered normal. You can be snarky, you can be clever, you can use interesting vocabulary; you can break the fourth wall and basically acknowledge that we all know this is a story that you’re reading and I’m writing, and let’s not let that get in the way of our good time. BOLO Books: Particularly with The Fixes, you incorporated much of the modern teen’s technological world – with social media such a SnapChat, Vine, Kik, and others. What type of research did you do to tap into these sites that are constantly changing? Owen Matthews: Oh man, I live in fear that I’ve misused some of that stuff, and I’m waiting for the inevitable onslaught of public mockery and shame. With some of that stuff, I know because I use it, or I know people who make me sit through hour-long Vine compilations on YouTube. As I get older more and more social media is starting to feel alien to me, but I feel like I’m still, you know, with it, as the kids say. What’s harder is writing a novel that won’t be out for two years and trying to predict what teenagers are going to be into! Even my pop culture references have to be revised as the drafts progress; they get irrelevant so fast. BOLO Books: I have to say, the use of hashtags throughout the novel always put a smile on my face. How much fun was that? Owen Matthews: Very. I love writing the stuff that I don’t get to do when I’m writing thrillers; the asides to the reader, the hashtags, footnotes, inappropriate parentheticals. There’s an FAQ at the beginning that my editor suggested, and I love it, and I had a blast with the character of [REDACTED], who we can’t name because the lawyers won’t let us. It’s risky to do this stuff because if it doesn’t work, it looks awful, so I kind of live in fear that people are going to get fed up and want a more traditional read, but it’s a blast to write, and as long as I’m entertained, I hope it means I’ll entertain a few readers, too. BOLO Books: [REDACTED] may not be named – per legal advice – but that doesn’t make the inclusion any less enjoyable. Anyone hip on pop culture will get the references…and smile. Now, there is going to be a segment of the population that makes the claim that your book could lead to the delinquency of minors. There is no doubt that much of what the Suicide Gang does in the novel is ill-advised. How did you work to make sure you included some life lessons and consequences into the plot? Owen Matthews: Well, I think the story doesn’t work unless we see the consequences. It’s just not a satisfying read if E rides off into the sunset with a trail of mayhem in his wake. That’s not me trying to inject morals into the book; it’s just not a very good story, in my opinion. So we need to see the consequences, from a story perspective. But you’re right: I also don’t want to write a book that glorifies bad behavior, and I don’t think The Fixes does that. What I’m aiming to do is show—in a hyper-stylized, over the top way—how misguided it can be to spend your life trying to be who other people want you to be, which is how I spent my teenage years and most of my twenties. Eric isn’t E, no matter how hard he tries to be, and even though he pretends that this new, dangerous character he’s become is his real, unfiltered self, he’s really just trying to please his crush instead of trying to please his dad. There are always going to be consequences, and I think even he knows that. Put plainly: the consequences are integral to the plot. Without them, the story falls apart. But I hope I can sneak those life lessons in without readers feeling like I’m getting too preachy. BOLO Books: Eric – or E as he quickly becomes known – is a gay teen struggling to find his place in the world. I’d argue that this type of story can only work with characters who feel some sense of marginality? Would you agree? Owen Matthews: Definitely. Eric has spent his whole life trying to be the person his dad expects him to be—the Connolly Man, perfect grades, Stanford Law, no parties, no fun and definitely no boyfriends. He’s not really a person; he’s a projection of his dad’s expectations, and the real Eric is pushed down and repressed and ignored. I think that’s what makes him so ripe for The Suicide Pack; he can finally push back at those expectations. The story is in a lot of ways about insecurity, and about the lengths we’ll go to feel accepted. For a lot of people, that means subverting who we really are in order to seem more appealing to the rest of the world, and speaking from experience, that’s where the danger lies. Nobody but a sociopath would enjoy the Fixes that the Suicide Pack concocts. They’re actions born of anger and disenfranchisement and feeling left out and mistreated, and with one notable exception, I think all the members of the Pack would really just rather fit in with the crowd and be accepted, but things haven’t worked out that way. BOLO Books: With the desire for more diversity in literature of all types – but especially YA – I commend you for putting a gay teen in the lead (in a book that is not solely about the fact that he happens to be gay). Did you get any push-back on this decision from publishers, agents, etc? Owen Matthews: I’m thrilled to report that I got no pushback whatsoever, and almost as thrilled to report that I got no real encouragement to make Eric’s sexuality a thing, either. It was a nonissue for my editor, publisher and agent, and that’s exactly how I hoped it would be. Obviously, Eric’s being gay has some bearing on the story, but this isn’t a book about a teen boy trying to come to terms with the fact that he has a crush on another guy. I definitely think there’s a place for those stories, but I also think we can tell stories about LGBTQ characters that have a broader focus, in the hopes that one day we’re mature enough as a society that our characters’ sexualities aren’t considered remarkable, no matter who they’re falling in love with. That’s kind of a utopian dream, maybe, so in the meantime, I’m really happy that nobody raised any issues whatsoever about Eric’s sexuality. BOLO Books: There’s a quote I love in the book: “Poor people are crazy…Rich people are eccentric.” It seems to me that many problems of society could be eradicated if we just stopped using labels to define whole swaths of people. There was a recent blog article that detailed a study showing how reading fiction makes people more empathic. Thoughts? Owen Matthews: Oh, I should hope so. I mean, I think it depends what kind of fiction you’re reading; there’s plenty of it out there that clearly aims to just reinforce prejudice. 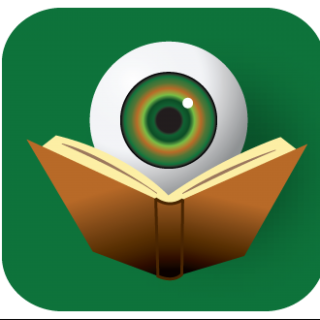 I think that reading widely, and voraciously, can only broaden a person’s perspective on the world, and with that enhanced perspective, empathy inevitably follows. To me, empathy starts with the writer. I can’t read a book (or watch a movie, etc.) where it’s obvious that the creator is holding his subjects up to be mocked, without making any effort to get inside the lives of those characters. I think as a writer you have to be empathetic toward your characters, whether good guys, bad guys or bit players. It’s a cliché, but they’re all the main characters in their own minds, and to pretend otherwise is just bad writing. So I think if you can read books where the writer is clearly making an effort to understand the reasons why his/her characters are doing what they’re doing, it makes an impression on you. And if, say, you’re a straight white man who happens to pick up a book by someone who doesn’t look or act or live the way you do, all the better. Empathy is so, so important. And I think the more we can get out of our own sense of supreme self-importance and see other people as people first, and not, as you say, a labeled group, the easier it is to feel empathy. So read widely! BOLO Books: Besides Eric, which of the Suicide Gang was your favorite to develop? And why? Owen Matthews: Good question! I think Haley was my favorite. She’s kind of based on my partner, so I naturally gravitate in her direction. She’s pretty snarky and full of attitude, but there’s a lot hiding under the surface. Which is kind of what attracted me to my partner in the first place! Paige is a close second, as she’s also based on people I know and care about. Hopefully they’ll feel the same about me after they read the book! Jordan, on the other hand, should have been the most interesting character to develop, but of the four, he’s probably the most one dimensional, once you get down to the heart of who he is. He’s the sun in this story, but it’s the planets circling around him that are really the fascinating ones. BOLO Books: Please tell me this is not your last foray in YA writing. Owen Matthews: I’m not sure! I really enjoy these digressions; it’s so much fun to blow off steam and be my obnoxious self, so I hope there’s more YA in my future. I will keep you posted! If you are still here and haven’t run off to the local indie bookstore to purchase The Fixes…WTF?…get moving! And after you have read these two YA novels, don’t forget to try Owen Laukkanen’s thrillers featuring Stevens and Windermere. They are characters you are going love! Lastly, if you are attending this year’s Bouchercon in New Orleans, please remember How to Win at High School is nominated in the Best YA category – it’s no surprise that this is where my vote is going.